Hey all, I’d like to talk about something that doesn’t get much attention, but that I think is super important when walking our dogs. And what is this important doggy insight? 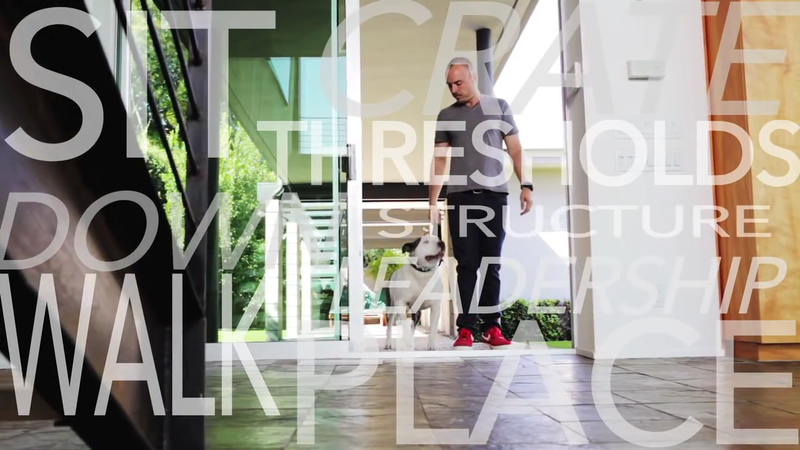 Dogs are acutely aware when other dogs are under human control…or not. 1) Is my owner in charge and in control? 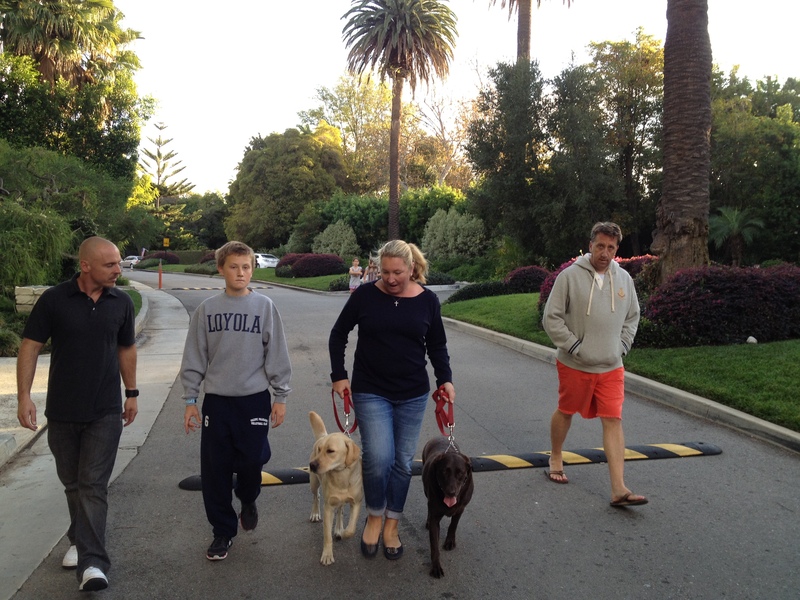 2) Are the other owners in the area in charge and in control of their dogs? If you’re walking your nervous dog down the street, what does he think when he sees another dog pulling its owner, lunging, barking, and carrying on? He sees a direct threat. Your dog is keenly aware that the aforementioned dog is NOT under control, that its human is not running the show, and that at any moment it could close the distance and inflict harm on him. This is why nervous dogs freak out when other dogs are misbehaving or acting up – they can tell that no one is truly in charge, and when no one is truly in charge, everyone is in danger. Now what if you have a very confident, assertive dog and he sees this same dog misbehaving and carrying on? He sees a dog that is once again NOT under control, but instead of being frightened, he feels challenged and disrespected, and feels the need to put the dog in check. The nervous dog feels threatened by the lack of control, and the confident, assertive dog feels challenged. Either scenario, the result is a negative reaction. Of course, the opposite end of this is YOUR dog’s behavior, and what other dogs see in your dog. If YOUR dog is the one misbehaving and sending out nervous, fearful, anxious, dominant, assertive ju-ju to the other dogs in the neighborhood, and if you’re not being the leader your dog needs, you have to expect the other dogs to take exception with this behavior and react accordingly. 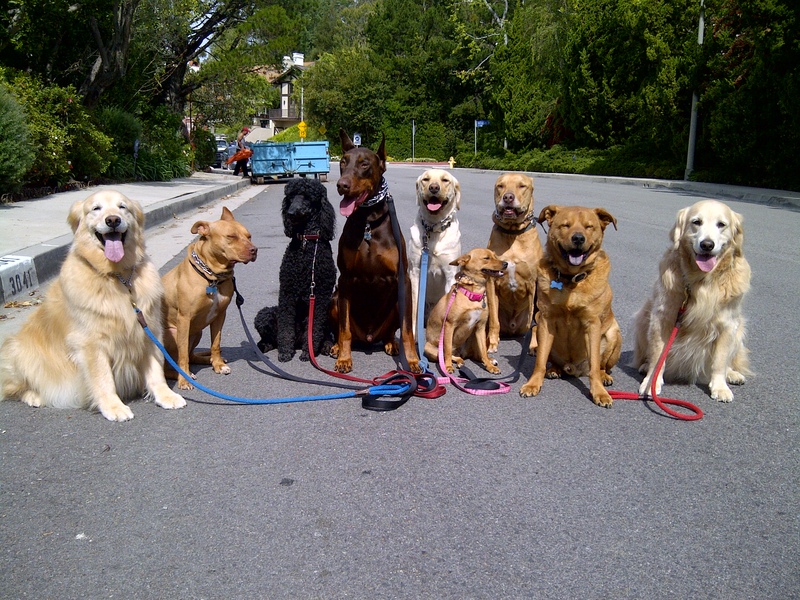 We are all responsible for keeping harmony in our doggy community! We can’t blame others in the neighborhood if we aren’t on top of our own game. Remember, leadership creates comfort and relaxation, whereas the lack of it creates anxiety and stress. Socialization! In the dog world we hear this over and over…socialize, socialize, socialize. And don’t get me wrong, having early positive experiences with other dogs, people and environments is a big part of creating a stable dog. But the problem I see is this: So many owners/trainers lately seem to be focused on some magical process that will supposedly transpire when dogs (most of whom are older and have behavior issues) are forced to spend time/engage with other dogs or people in a haphazard, unstructured, and leadership free fashion. Which is simply an uninformed, and clumsy attempt to create positive associations and “teach” them to “like” each other just by being around each other – and that hopefully they’ll figure out on their own. I see it all the time…’I’m bringing my dog who has some issues to Petco, the dog park, or walking him up to my neighbor’s barking, lunging dog to get him “socialiized”‘. Yowza! Attempting to “socialize” an unstable dog is the perfect recipe for disaster. Somehow this myth, that just being around dogs or people will make everything great, has been propagated and sold to the dog public. I’d like to make a bold suggestion here: Stop worrying about socialization! At least for the time being. Socialization (for a dog who is exhibiting issues) should always and only be done after a proper relationship with you, the owner has been established…and NEVER before. Bringing an unstable dog, who has no leadership, and no sense of boundaries or what is expected/allowed, into a situation where he is triggered, is setting the table for a serious incident. Here’s the secret to starting the process of sorting out behavior problems towards people or dogs (or anything else for that matter): Create a fantastic, balanced relationship with your dog, through structured exercise, rules, consequences for inappropriate behavior, and affection at appropriate times (when the dog is relaxed, mellow, behaving in a stable fashion). Then, when your dog is respectful, relaxed, and will defer to you in sticky situations, you can start slowly bringing your dog around things they have problems with. And I do mean slowly…do not walk up to the nearest dog or unleash him at the dog park…slowly walk him closer to the triggers, and earn his trust and respect…he will show you exactly how far the two of you have come by how reacts as you close the distance in these situations. 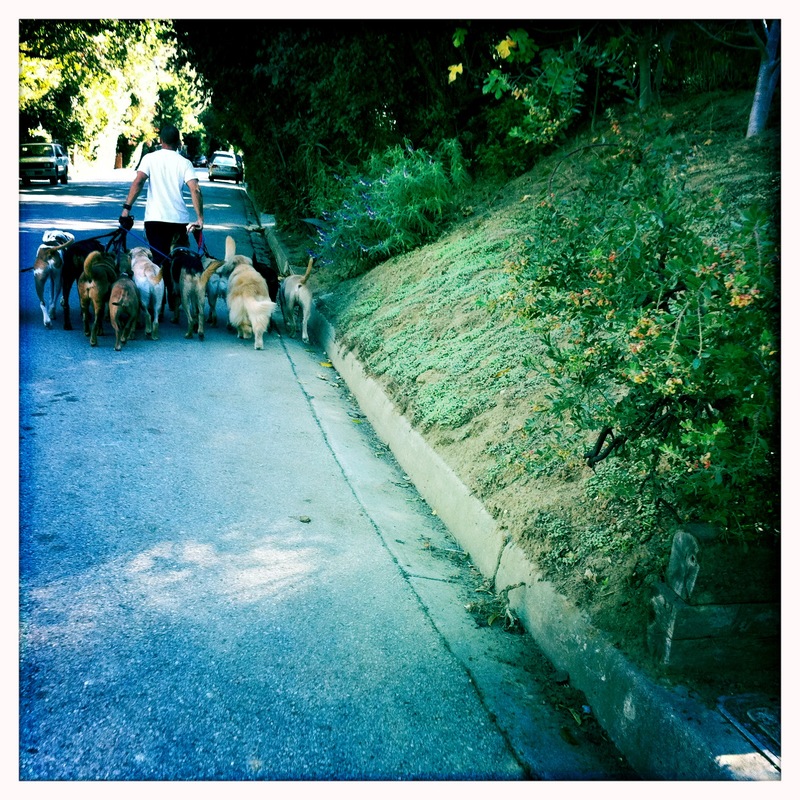 Once you have convinced your dog that you are actually his pack leader (and I mean 100% convinced! ), you are then able to change your dog’s perception/feelings regarding issues/triggers/whatever…he will, rather than act out on his own, defer to your requests…but this takes time, lots of practice, commitment, and work. So, remember, lead first, then socialize. Next post, we’ll go deeper into the mental programming of our dogs, and how this concept of pack structure/leadership is at the heart of their DNA…and therefor at the heart of your relationship, and your ability to train or rehabilitate your dog. Visit our website here to learn more about Sean. I think it’s time we give our dogs a bit more credit. There’s a giant difference between having some information/understanding some concepts, and mastery. We seem to understand this intuitively when it pertains to humans, but somehow think the rules change when we’re dealing with k9’s – oh if only that were true – dog training would be a cinch. So what exactly am I getting at here? Ok, lets imagine you’ve decided to learn how to rollerblade. You’ve got your blades, and you have your friend who’s pretty good who’s going to help you along. You start off super shaky and super uncoordinated, but after an hour or so, you’ve got a bit of a handle on it. Fast forward to later that week, you’ve been practicing diligently, and (in your mind) you’re really starting to make some magic happen on the blades. But here’s the thing, yes, you are technically rollerblading – you are standing up, you are moving forward, and you only swing your arms around in a life saving gyration to regain balance every 100 yards or so…but just because you are technically rollerblading…yes, you are doing the act…this doesn’t change the fact that to every person who sees you careening down the street, that it’s obvious that you are a beginner, a novice, a newbie. And just how exactly does this have anything to do with dog training? Well, like I said earlier, I think it’s time we give our dogs more credit. Just like the person witnessing your attempt to master (or just do) rollerblading clearly understands that at this point in time you aren’t very good at what you’re doing (even though you are technically doing it). Our dogs sense the same thing when we are attempting to be pack leaders, when we engage in training, or are working to fix behavior problems…it’s painfully obvious to our dogs that we are a long way from mastery…that we are in fact often flailing about. And here’s the deal, it’s the mastery of all the little things: timing, reading your dog’s body language, using the appropriate intensity for corrections, keeping yourself relaxed and staying absolutely cool under fire, not tensing up on the leash, having multiple strategies for dealing with a situation (and many other components), that create and transmit a sense of certainty and confidence to your dog. That’s all your dog wants to know: are you certain? Can you convince me that you know what you’re doing, so that it makes sense to my DNA to follow you? The biggest thing that good dog trainers bring to the table is confidence and certainty, born out of experience, and lots and lots of practice. Dogs immediately sense when someone is experienced, confident, certain…masterful…and when they are not…and they respond accordingly, without exception. So the point of all this is to remember, like any skill in life that is valuable or worthwhile, it usually takes lots and lots of time to move from bungling, to proficient, to good, and if your truly dedicated, finally to masterful. And no one knows better your degree of skill than your dog. So if you’re struggling with basic training, advanced training, mild to severe behavior problems, remember, it’s not your dog that is the problem…and I know this is a tough one to swallow, but it’s you…it’s you and your ability or lack of that determines your dog’s progress. How good your dog becomes is a simple reflection of your abilities as pack leader, authority figure, dog trainer, and behavior modification expert. Your dog will simply be as good as you are…as you get better, your dog will get better. So instead of getting frustrated with yourself, or your dog, relax, and remember it’s a process, a journey, it’s gonna take time. It’s not about overnight success, it’s about small continuous victories and steps that are headed in the right direction. This is the journey of earning your dog’s respect. And if you hold mastery as your goal, you should at least hit pretty damn good, and for most dogs that will be more than enough.